June 30, 2015 k3fitLeave a Comment on Taco Tuesday! 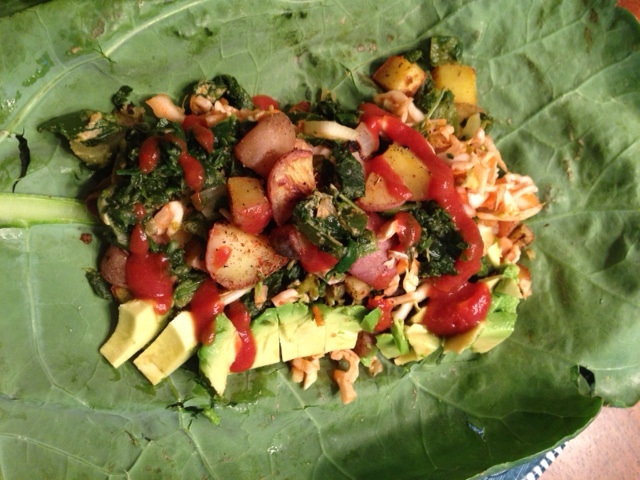 Roasted potato and spinach tacos, wrapped it in giant collard leaf! Sauté spinach, garlic, onion, nutritional yeast and spices together for taco mixture. Salad is shredded zuchinni,onion,peppers and romaine lettuce. Previous What’s happening at Fitness You Can Live With this June? !